A very sensitive phase going on for Japan at least till 2017, more fluctuations foreseen! In a very stunning turn of events, Japan's economy slid back into recession in July-September as uncertainty over the overseas outlook hurt business investment, keeping policymakers under pressure to deploy new stimulus measures to support a fragile recovery. A rebound in private consumption and exports offered some hope the world's third-largest economy is emerging from the doldrums, despite slowing Chinese demand and the pain households are feeling from rising imported food prices. What could be the planetary influences that may be causing such situations? Is the situation set to improve any time soon? Find out Ganesha's take on the Japan Economic Slowdown! Time of Foundation :- 23.24 Hrs. 1) What is causing such a financial and economic duress for the otherwise formidable country currently? Ganesha says that it is very surprising to note that how the planetary transits are literally having an adverse effect on the Natal Chart of Japan and the Natal planets. The main areas to be taken into consideration in this case are the Houses related to Finance, Economy, Gains and the matters pertaining to the said areas – the 2nd House, 11th House. We can clearly observe that the Lords of both the Houses are under adverse influences. Saturn, who in the case of Japan happens to be the Lord of the 2nd House is currently transiting through the 12th House from the Ascendant, that too in its detrimental Sign of Scorpio! 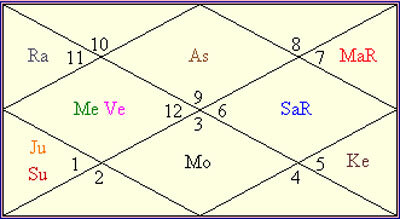 Adding to the woes is the transit of Rahu over the Natal Saturn in the 10th House. Even Venus – the Lord of the 11th House of Gains and Economic Fluidity is currently is under the restrictive and malefic influence of transiting Ketu and the same negativity applies to Mercury – who happens to be the Karaka for Commerce and Economy. The period uptil 30th January, 2016 will be a big testing phase for Japan. Saturn will continue its transit in the 12th House (Scorpio) of Japan, till 26th January, 2016. Moreover, Japan is under the influence of the major period of Mercury and sub period of Rahu, till 29th September, 2017. On the positive side, the transit of Jupiter through the 9th House and its benefic influence on the important Houses – the 1st House and the 5th House and its aspect on the Natal Jupiter and the Sun (in 5th House) will augur very well for Japan and this will ensure that the normalcy and the general peace gets unaffected by the economic downturn. What do these transitory influences of Planets indicate? The transit of Rahu and Ketu over the key planets in the Chart of Japan have caused an overnight and drastic change of fortunes in the case of Japan, as the nodes are the chief representatives of sudden, unanticipated and unforeseen events and situations. Economic downturns, reversal of fortunes, economic crisis and the economy heading towards downward spiral are the general trends that will be witnessed, if there is some prominent role of the nodes! This may not be entirely negative, as the change that may follow the destruction or problems created by the nodes may result into something very extraordinary! 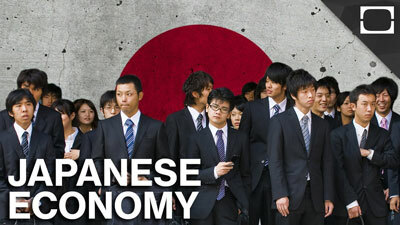 Things on the economic front now look gloomy for Japan, as fluctuation and uncertainty have taken center stage! 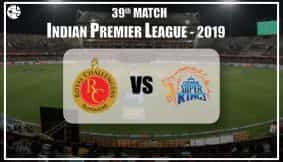 Rahu and Ketu shall make confusion prevail and the confidence of the investors may take a beating. The confidence even of the private sectors may get affected. Industrial productivity may get impeded and may reach a low in the coming months. Ganesha affirms that great care and precaution will have to be taken till 30th January, 2016 as the negative effects of the nodes – Rahu and Ketu will be felt till in an intensified manner till then. Post that, the situation may improve and things may start getting back on track. The stage is already set for Japan to face uncertainty and unprecedented changes, as it is passing through the sub period of Rahu and this is already playing a big role in causing the disturbances, in addition to the role that Rahu is playing in its transit in the Sign of Virgo currently. 2) Will this economic roller-coaster ride continue till some more time for Japan? Transiting Saturn will remain in Scorpio till 26th January, 2016 and will continue aspecting its Natal Ketu till then. Japan is under the influence of major period of Mercury and sub period of Rahu, till 29th September, 2017. Ganesha says that the economy and the financial situation of Japan will continue to be under a cloud till 29th September, 2017, owing to the influence of the sub period of Rahu. Apart from this, the influences of the transitory Rahu-Ketu and Saturn will also act as the pullback factors. The planets may compel Japan to make drastic changes in the policies and economic procedures and the administration may even have to review the existing policies as well. The Government will have to instill the faith and confidence in the investors and the financial players. The time is ripe for Japan to work on reforms and new systems and weed out the policies which may not have been delivering well. 3) When will the situation improve? Jupiter will be transiting over its natal Ketu, which will be aspecting its Rahu in the 3rd house, it will also be aspecting its exalted Sun and Jupiter in the 5th house in the Natal Chart, till 11th August,2016. Post this period Jupiter will be transiting through Virgo in its Chart. Owing to the positive influence of transiting Jupiter, Japan government will be able to apply remedial and reforming measures till 11th August, 2016. Japan will be able to stabilize and be able to make desired progress post this period , when Jupiter will be transiting through the Virgo sign in its chart. Jupiter's current transit will be very helpful for adopting corrective/innovative remedies for its financial/economical progress. Jupiter shall act as the saving grace, and with the help of its benefic influence, Japan may be able to incorporate some quick changes and procedural reforms. In spite of the unsparing way in which the malefics may function, but with the positive support from Jupiter, the Japanese Government will be able to react quickly to the problems and function proactively. The economic picture will experience an overall improvement post January 2017, when Saturn will move out of the House of Losses – the 12th House and further, post 29th September, 2017, as mentioned earlier. Ganesha wishes good luck to JAPAN and its Government.